Want a piece of New York City for your kitchen and home? 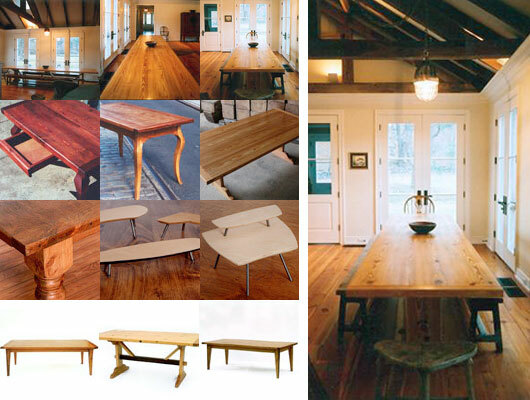 Brooklyn Farm Table founder Ralph Gorham produces gorgeous tables made of old wood rescued from slated-for-demolition buildings within the five boroughs. Talk about keeping it local! The one-of-a-kind side, coffee, kitchen and dining tables are both modern and slightly rustic. For more information, visit brooklynfarmtable.com or call to make an appointment to visit their Red Hook location: 917-806-6383.